The new Vanish liquid is easy to use and less time consuming. The new advanced liquid format is helpful for localised application on fabric. It removes tough stains that detergents alone cannot while being gentle on coloured clothes as well. For the first time ever the new Vanish has added perfume for a greater fragrance a delightful surprise for the customers. 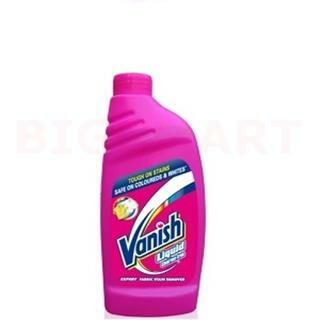 Vanish liquid now gives its consumers an option of complete stain removal while being safe on coloured and delicates.